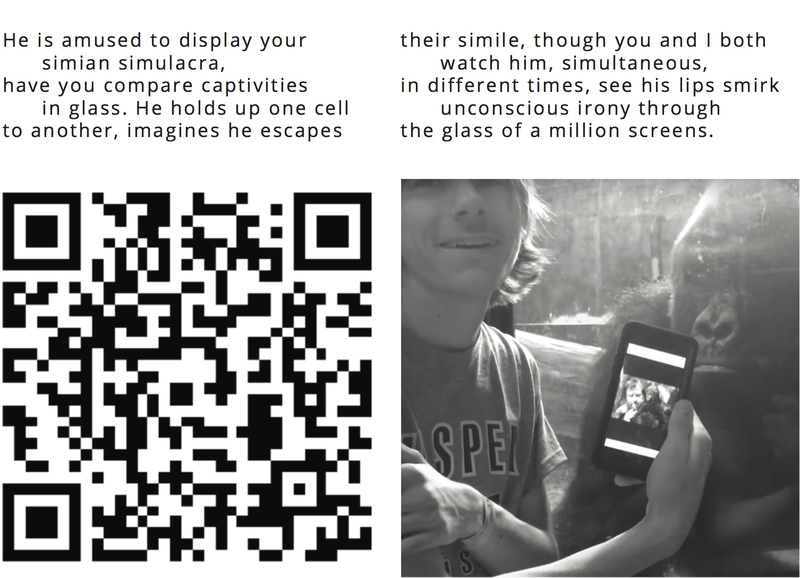 This is the fourth poem of Conversations with Viral Media, a series of publicly posted broadsheets that contain poems written in response to viral video, stills from those videos, and QR codes linking to the videos themselves. They are intended to comment on the way that viral videos can function as symptoms of our cultural dysfunction. They will be released periodically until I get bored. Links to all of the poems with their videos can be found on the Conversations with Viral Media page.